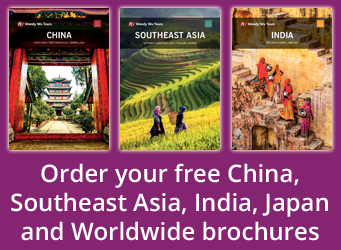 If you are stopping off in Shanghai as part of your escorted China holidays then you are in for a treat as there are so many things to see and do in this magnificent city. Those who have limited time in the city should carry on reading as we have compiled the top five attractions you need to see, the top five things you should eat in the city and the best free attractions to visit, as well as some insider tips from our experts here at Wendy Wu Tours. There are a number of Shanghai attractions that you can visit, but here are the top five that just have to go on your bucket list. The Bund is a famed waterside walkway that offers some of the best views of the city, but it isn’t just holidaymakers that visit The Bund as thousands of locals come here to exercise in the morning. By visiting the Oriental Pearl Tower you can kill ‘two birds with one stone’ so to speak as the Shanghai History Museum is also located below the tower. The Shanghai History Museum is a major attraction in itself and has 18,000 objects and historical relics that offer visitors a whistle-stop tour of Shanghai’s past. 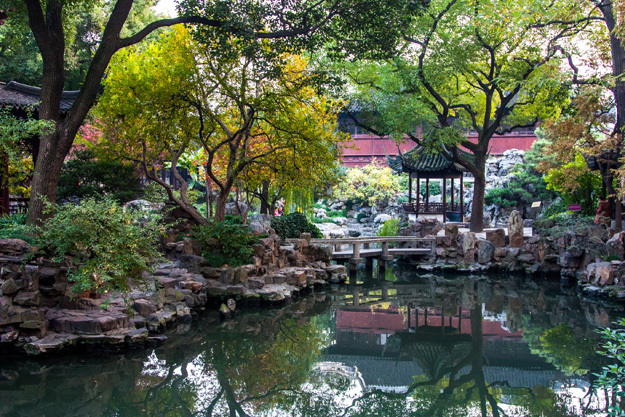 Yu Garden, or the Yuyuan Garden as it is also known, was created in the Ming Dynasty and is considered by many as the best garden in southeast China. The garden is full of stunning architecture and peaceful walks. Some of the garden’s highlights include Sansui Hall, the Grand Rockery, Jade Rock and Stone City. The garden is open from 8.30am-5.30pm and costs around 30 Chinese Yuan, which is just over £3, to enter. The Jade Buddha Temple is located in western Shanghai and this old temple houses two special Buddha statues that were brought over by a monk from Burma. The statues are steeped in history and were fortunately saved after the original temple they were located in was destroyed during the revolution that overthrew the Qing Dynasty. Now, the building that the two statues are housed in, which was built back in 1928, is visited by people from across the world and has been named the Jade Buddha Temple. The beautiful temple is open from 8.30am-5pm and costs 30 Chinese Yuan to enter for holidaymakers. 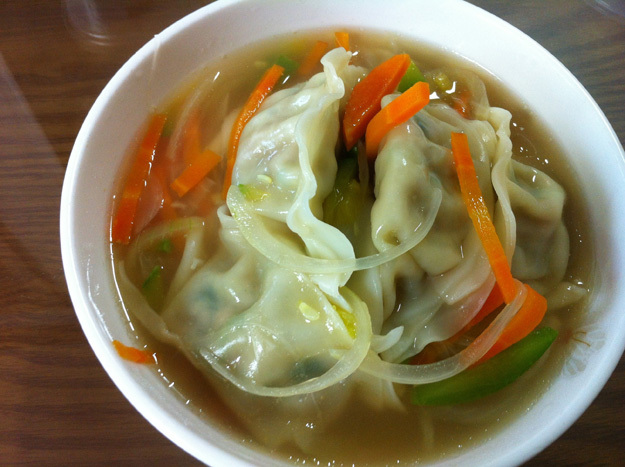 If you love trying local cuisine whilst on holiday, then Goats on the Road says trying these soup dumplings should be up high on your list of things to eat. Shanghai is famed for its eel dishes and one of the most popular in the city is Shansi Leng Mian. This street food is a combination of cold, fine wheat noodles and eels that are served hot. The two components of this meal are usually served separately so that the diner can eat them separately or combine the two together. Serious Eats in their article about essential street food in Shanghai say that locals will ‘line up for hours in all kinds of weather’ to get their hands on these scallion and pork studded fried pancakes. This classic street food can be purchased in vendor’s kitchens, but if you want to try this dish then you may have to wait – it is very popular. To make the dish, dough is rolled into a spiral with scallions, nubbins of pork fat and oil. It is then rolled and baked. Anyone who has visited Shanghai on China tours before will know that the city is a heaven for seafood lovers and if you are one of these people then the grilled oysters are a must-try. Oysters with black bean sauce or garlic and chilli sauces are popular choices amongst locals, but you should try all the different kinds of variations to find your favourite. 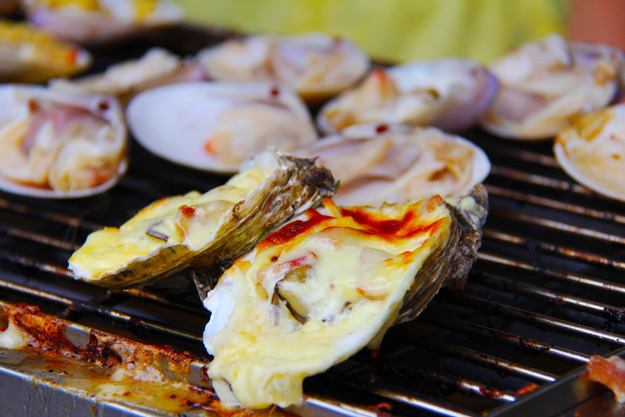 If you want to try oysters or other seafood dishes then Shouning Lu, a street in Shanghai, is the place to visit as it is overwhelmed by speciality seafood restaurants and street vendors. Stinky tofu may not sound appetising or even smell that nice, but the snack is the most popular light bite in Shanghai. The snack is deep fried and put into soybean paste and red chilli sauce. This helps create the hard outer shell that keeps in the sweet, crumbly tofu. 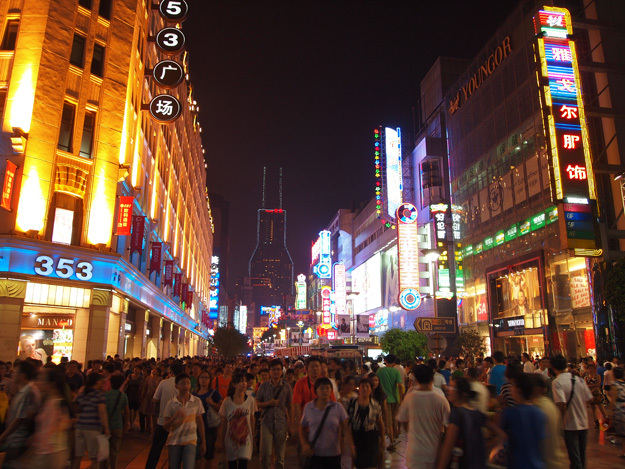 Nanjing Road stretches from the Bund to The People’s Park and is one of the most important tourist and commercial streets in Shanghai as it is visited by millions of people every year. 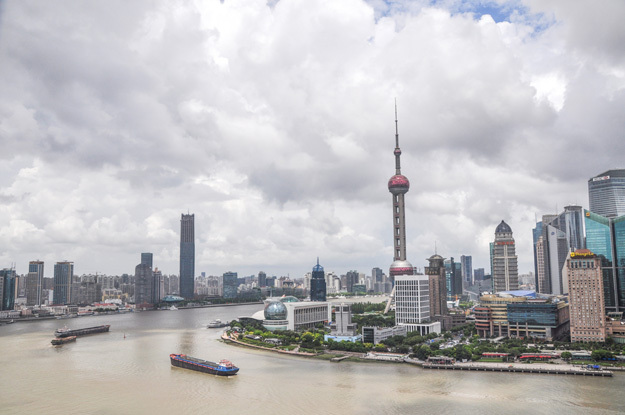 It is said that the charm of Shanghai lies in the French Concession region of the city as visitors can explore old European buildings and upmarket shopping areas. Fortunately Shanghai boasts several free-to-visit museums and one of the best is the Shanghai Natural History Museum. The museum is one of the largest in China and visitors will be amazed by displays on ancient animals, the evolution of animals and plants, human history, fossils, mummies, ancient literature and much, much more. The museum is closed on Mondays, but is open every other day from 9am-5pm. 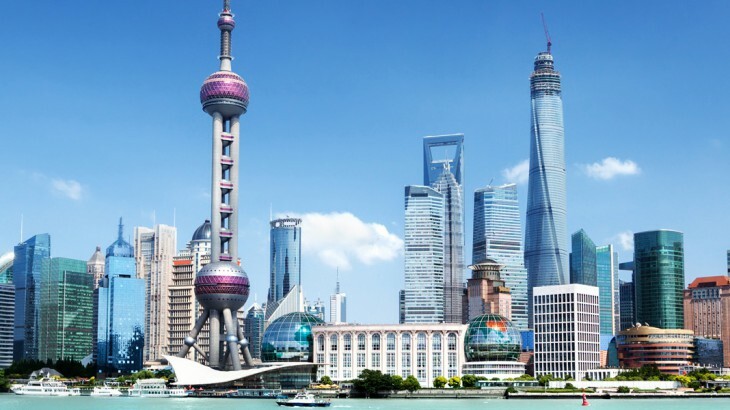 In an article about some of the best free things to do in Shanghai, Lash World Tour recommends heading down to the Shanghai World Financial Center and standing on the area’s pavement to see the top of the Jin Mao Tower, the 13th highest skyscraper in the world, and the Shanghai World Financial Center, the fourth tallest building. 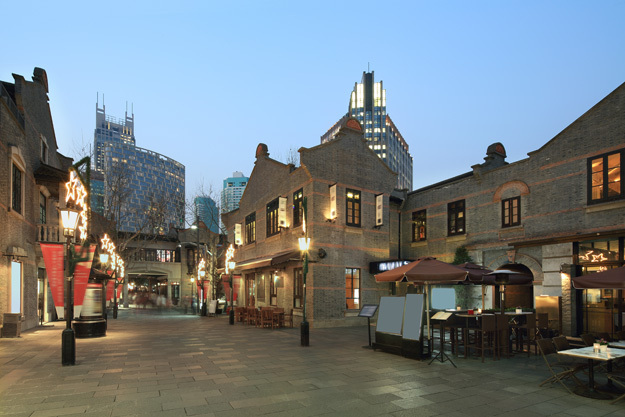 Shanghai is growing and becoming so modern that some of its old neighbourhoods are being lost or redeveloped. So if you are heading on a trip to Shanghai in the near future you should try to visit one of the city’s old neighbourhoods before they are lost forever. The meandering alleys, building with clay roofs and traditional Chinese restaurants all make these old neighbourhoods special places to visit. I would definitely recommend a morning visit to Tian Zi Fang, a collection of narrow streets hidden in the outskirts of the French Concession. It’s a traditional residential area with many cafes, galleries and shops where you can observe the daily life of those who live in Shanghai. Three floors high, the Caojiadu Flower Market is now the largest market of its kind in Shanghai. You can find all types of flowers and plants, both fake and real. A walk around the market is a pleasant assault on the senses. Shanghai’s famous public park is a splash of green in an otherwise high-rise city, and a stroll through it makes for great people watching! Plus if you’re in Shanghai during the weekend, the famous Shanghai Marriage Market is a must see. Have a look at the adverts that parents hang up in the hope of finding the perfect marriage match for their adult children. If you have spare day whilst in Shanghai, a visit to the water town of Zhujiajiao is a must. Its ancient architecture dates back to the Ming Dynasty and is the best preserved. Best of all it only takes an hour to get there! 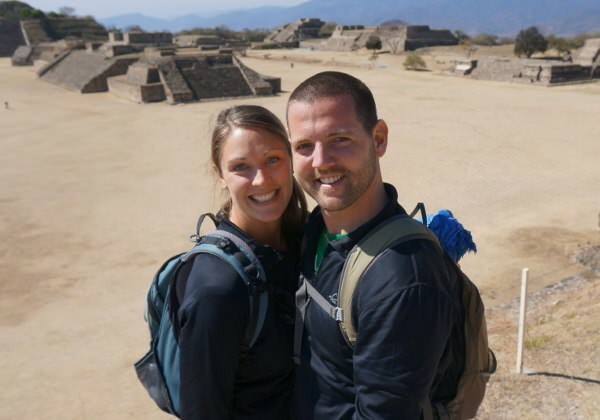 Finding a restaurant for dinner is great fun, but a guided food tour lets you find hidden, tasty treasures! UnTour Shanghai has evening market tours as well as breakfast tours, and their guides are knowledgeable and speak English. China itinerary, sightseeing, top things to see, tours. permalink.